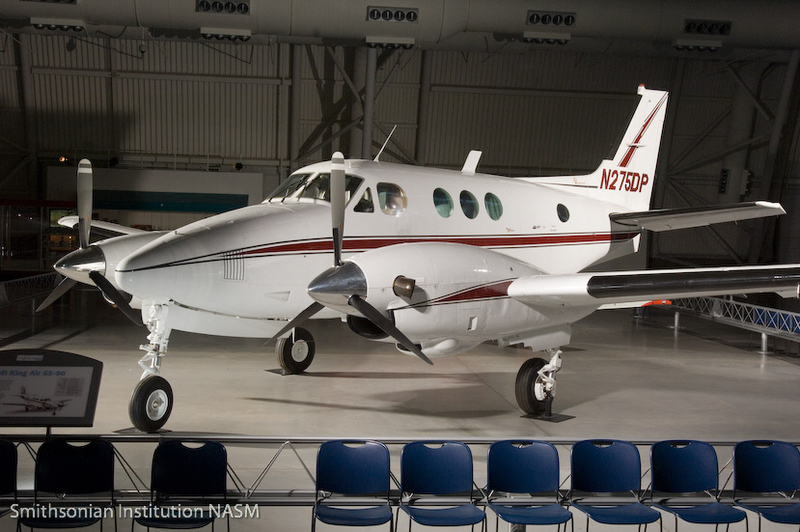 The Beechcraft King Air is the world's most popular turboprop aircraft. Beech Aircraft developed the King Air in 1964 as a compromise between piston-engine and jet aircraft; it could fly farther and higher than piston-engine aircraft yet land on the short runways of most small airports. The design remains the primary business aircraft for small to mid-size companies and part of the flight inventories of larger corporations. 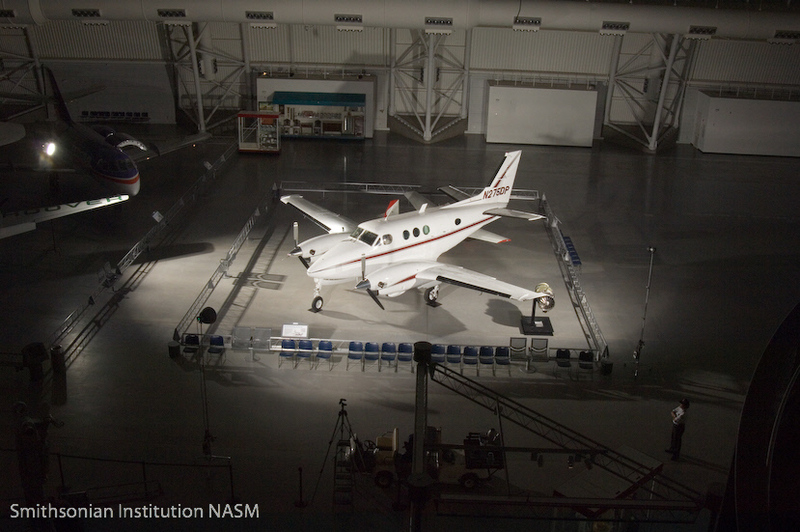 Rather than investing in new and expensive technology, Beech built an improved and marketable business aircraft from its existing production line. 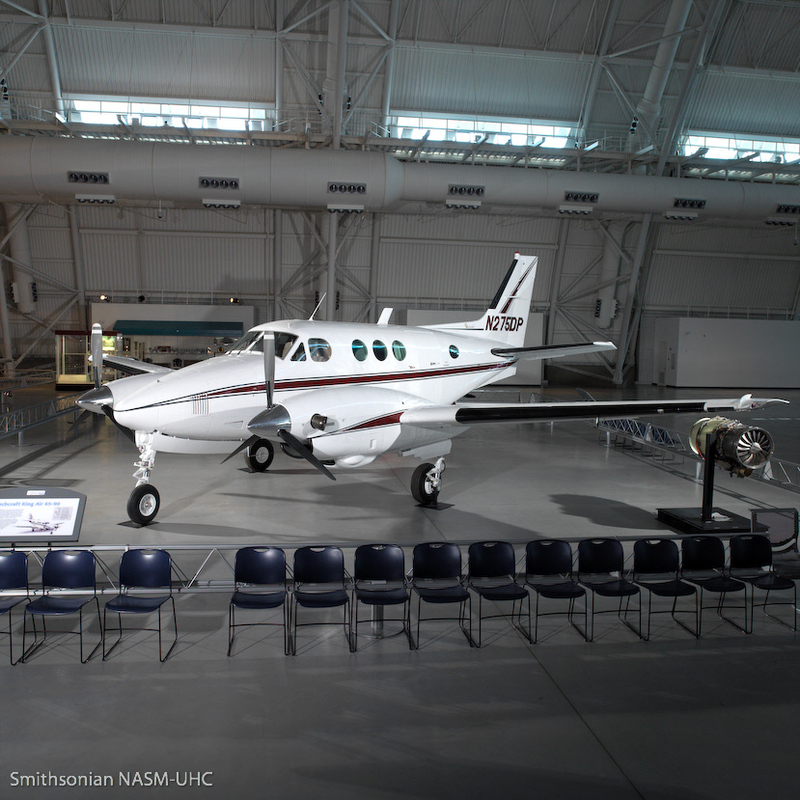 The aircraft displayed here, LJ-34, began as a Queen Air that was upgraded with Pratt and Whitney PT6A-6 turboprop engines, a design that soon became the C-90. Several companies operated it for a total of more than 7,000 hours of service. The Beech King Air is the world's most popular turboprop aircraft. 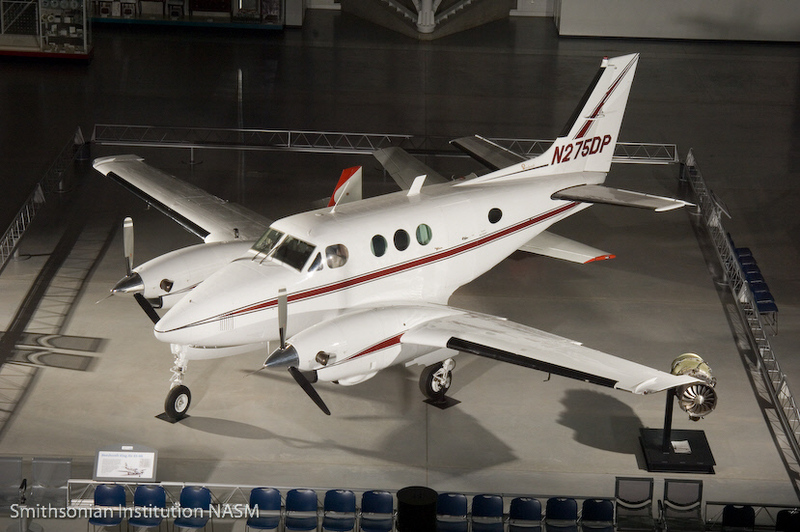 Beech Aircraft Corporation developed the King Air in 1964 as a compromise between piston-engine and jet aircraft and the design quickly found success. The King Air can fly farther and higher than piston-engine aircraft, and, unlike many jets, it can land on the short runways of most small airports. With the three different models, including the C90B, still in production in 2001, this aircraft remains the primary business aircraft for small to mid-size companies, and it is an integral part of the flight inventories of many larger corporations. Since its incorporation in 1932, Beech Aircraft was a successful builder of civil and military aircraft. After Walter Beech's death in 1950, his wife and co-founder, Olive Ann, became president and chairman of Beech, and she continued the profitable aircraft production lines while also diversifying into other aerospace endeavors. In 1959, Beech Aircraft introduced the Model 65 Queen Air to fill the gap between the six-seat twin-Bonanza, a derivative of the single-engine Bonanza introduced in 1947, and the Super 18, a deluxe version of the classic Beech 18. The Queen Air featured the low-wing, all-metal, tricycle design typical of Beech's post-war aircraft, carried seven to nine passengers, and featured two horizontally-opposed 340-hp Lycoming engines. 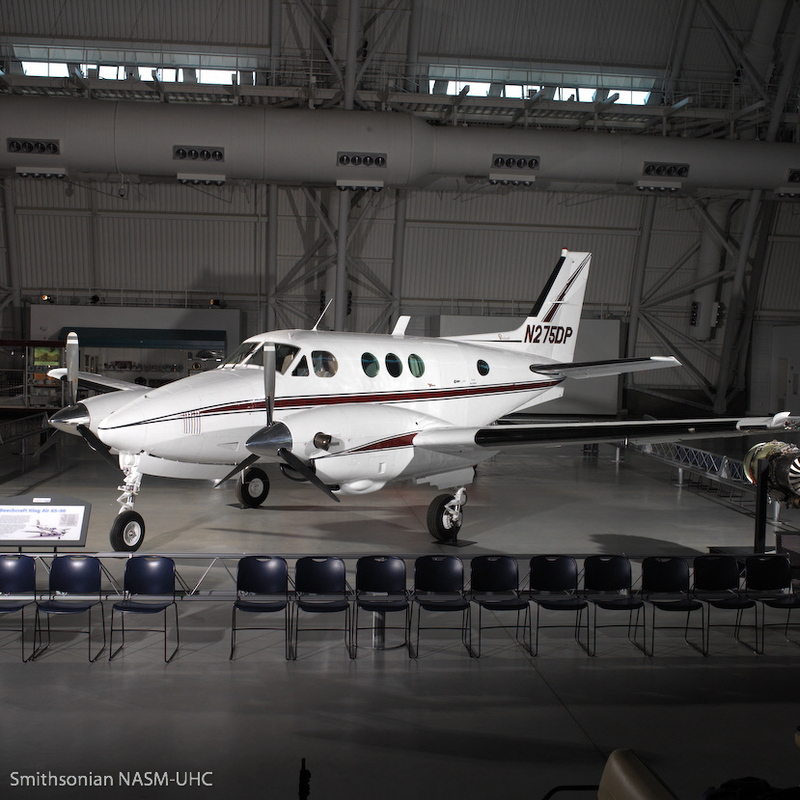 Subsequent improvements included a swept tail and a pressurized fuselage, but when turboprop engines were added to a Queen Air 88 in 1964, it was re-designated the King Air 90. 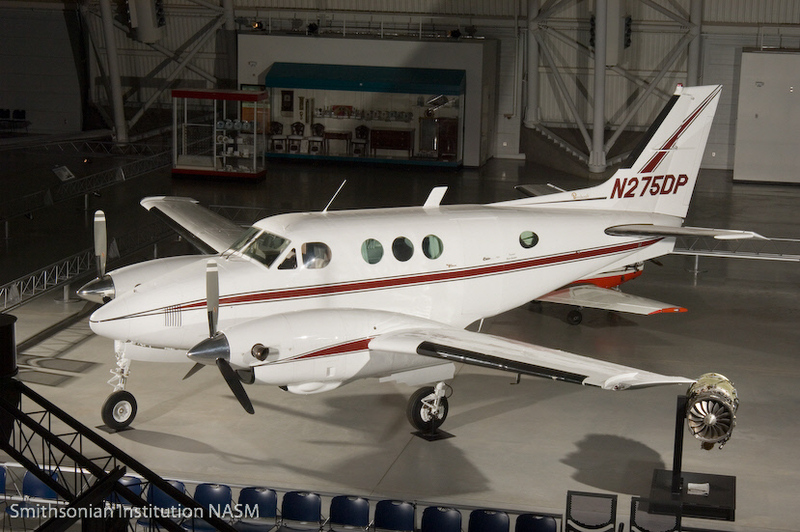 In August 1963, Beech Aircraft announced the King Air design to meet the requirements of executive and corporate business travel for six to nine passengers, using turboprop engines to bridge the gap between piston-power and jet aircraft. 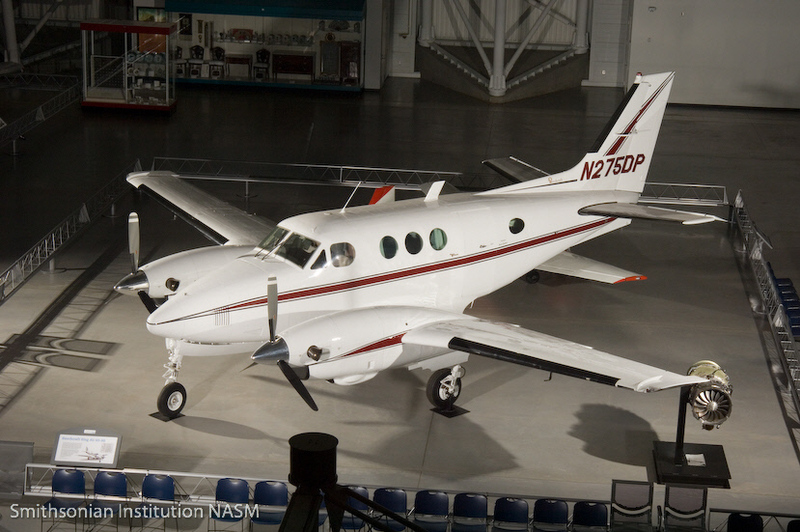 The first King Air, powered by Pratt & Whitney Canada PT6A-6 engines, flew on January 20, 1964 and, after the prototype completed a 230-hour test program, the design received its type certificate on May 27, 1964. The first production aircraft deliveries began in late 1964. The design was a low-wing cantilever monoplane of aluminum construction with retractable tricycle landing gear. To improve its utility and safety in changing flight conditions, standard equipment, that had been optional on the Queen Air, included de-icing boots on the leading edges of the wings, fin, and tailplane. 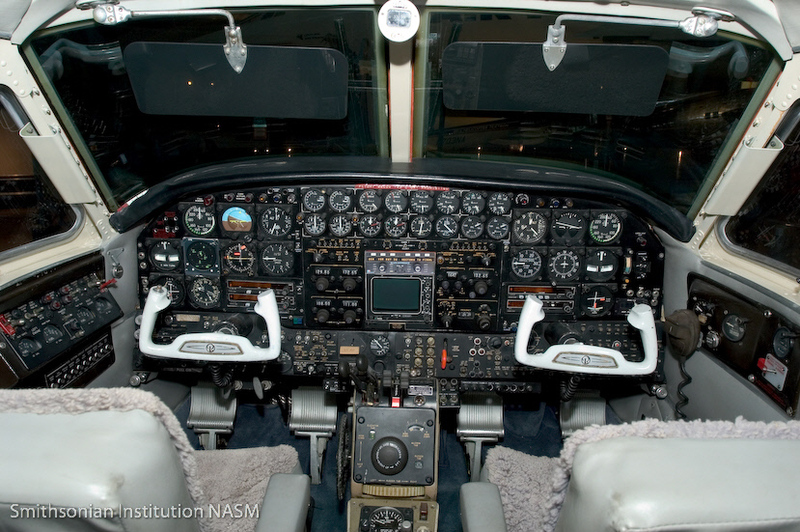 Flight instruments allowed for all-weather capabilities and various communications and navigation packages included autopilot, radio, and radar systems. 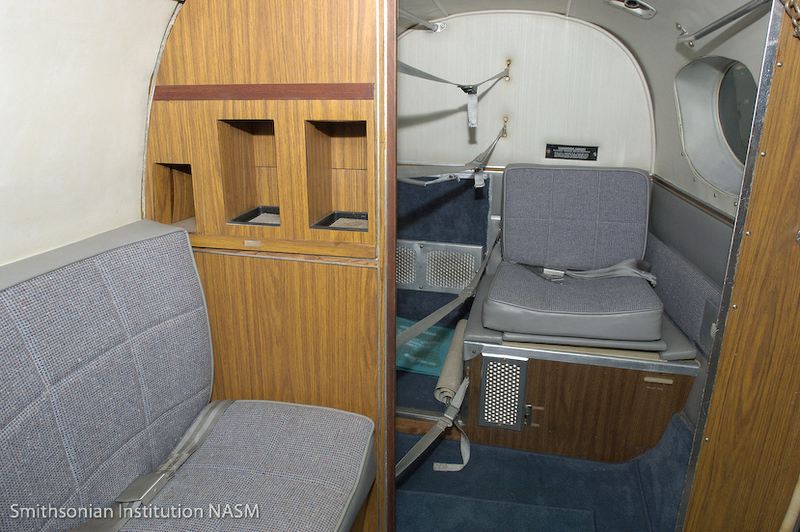 The Model 90 had two seats in the cockpit and four reclining passenger seats facing each other in the cabin, with options for a two or three-place couch for passengers. Air conditioning and soundproofing also improved passenger comfort in the cabin. 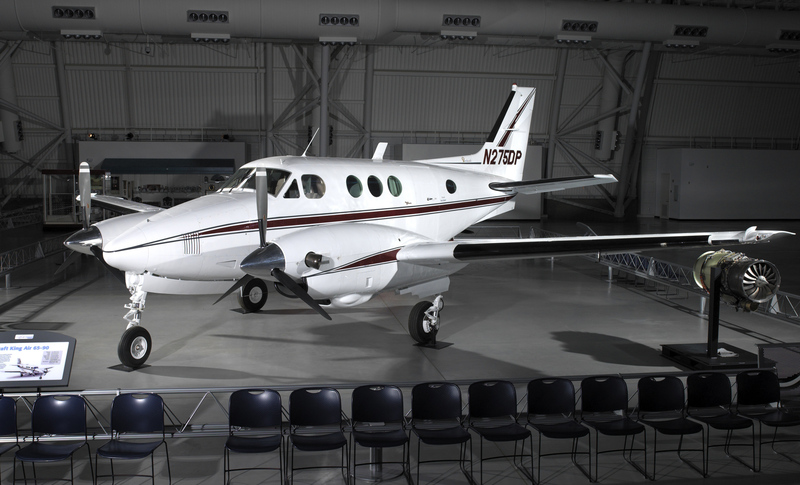 Two 500-hp P&W Canada PT6A-6 turboprop engines with three-blade Hartzell propellers gave the King Air a top ceiling of 27,400 feet and a range of 1,565 miles at 270 mph. Piston-powered aircraft could not match this performance while emerging jet aircraft of the 1960s used turbojet engines that were high-priced, noisy, and had high fuel consumption. 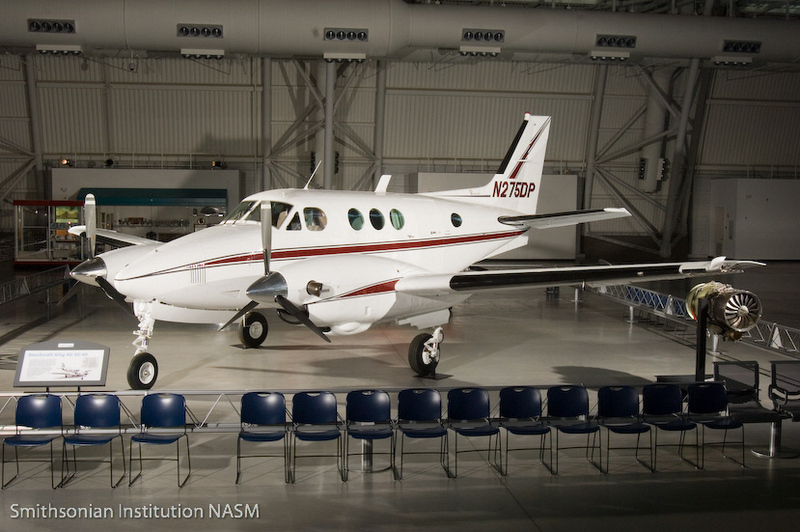 Rather than investing in a completely new and expensive technology, Beech built a vastly improved and marketable business aircraft from its existing production line. 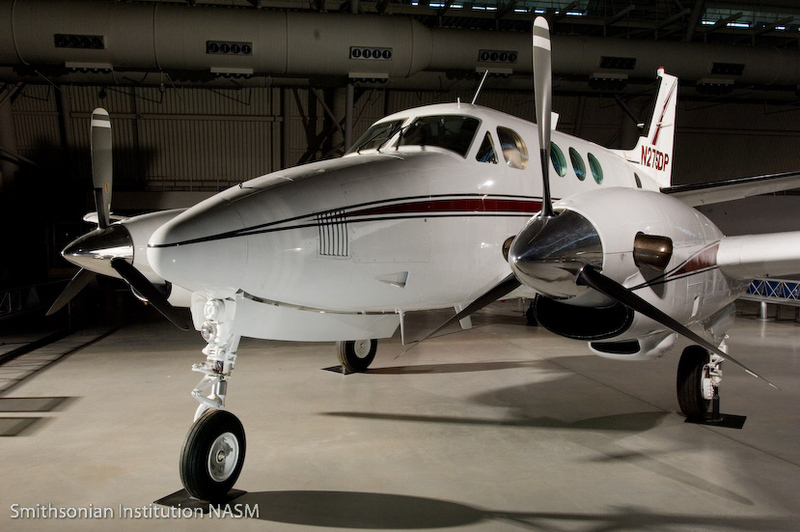 After the King Air's initial success, Beech concentrated on continuous upgrades to appeal to a range of executive and corporate needs. Sophisticated electronics packages, increased cabin space, and finer interior amenities in Models 90, 100, 200, 300, and 350 provided comfortable working and transport environments for business travelers. Newer models are longer and sport T-tails, but the basic configuration remains the same and continues to appeal as a new or previously owned medium-range aircraft. 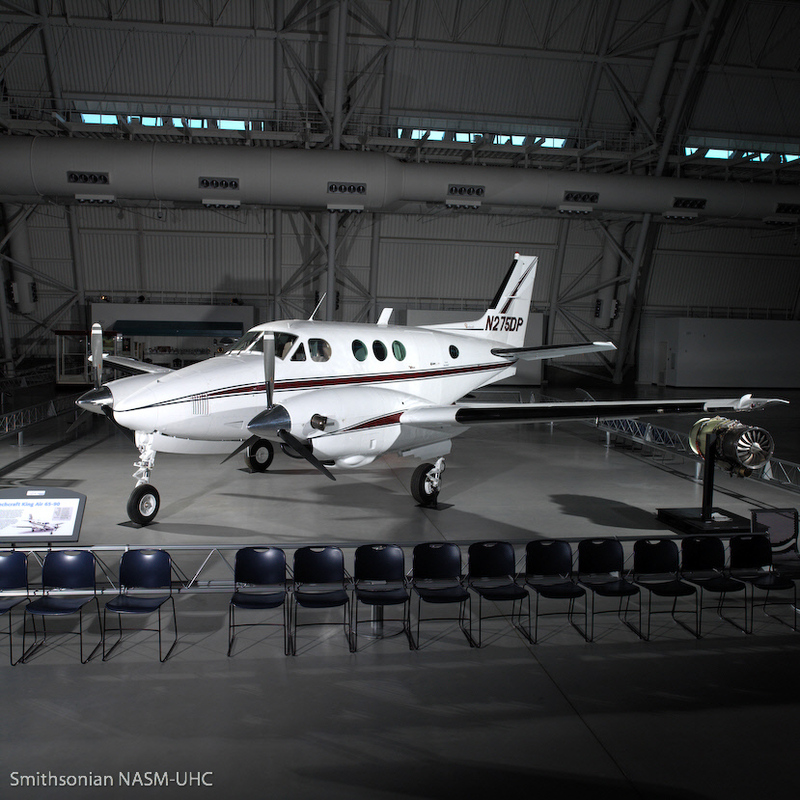 In addition to the airframe, the Pratt & Whitney Canada PT6A turboprop engine family consistently provides a high level of performance and reliability. 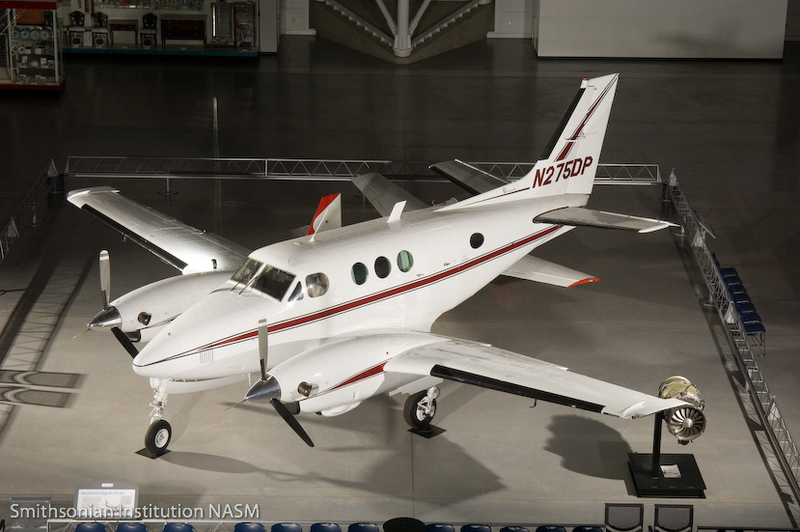 Nearly 40 years since its introduction, the King Air series is still the king of the turboprops and fills a significant niche in the business aviation marketplace. 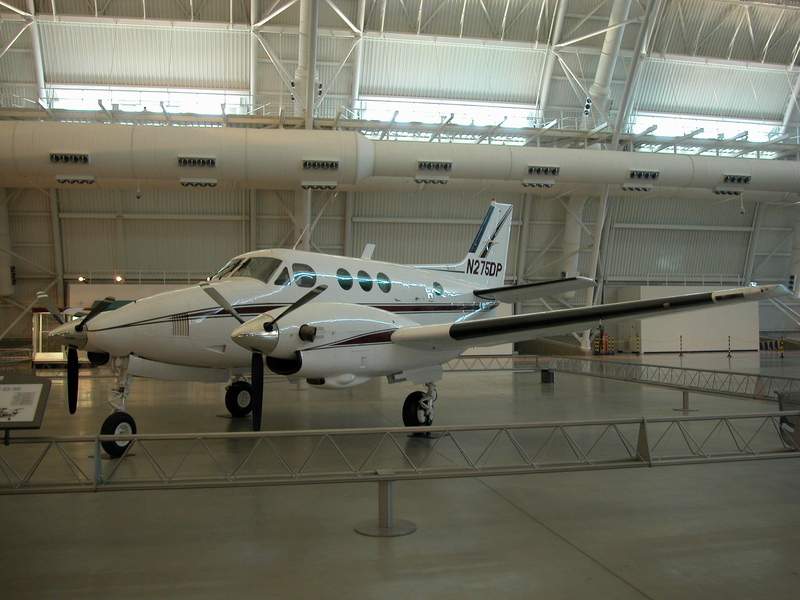 The Museum's aircraft, LJ-34, is an early model with both the Queen Air and King Air designations, 65-90, meaning it was a Queen Air 88 design upgraded with P&W Canada PT6A-6 engines. One hundred and twelve of these models were built. The aircraft received its airworthiness certificate on April 16, 1965 and was registered as N1920H. The exterior was white with Morning Glory Blue and Jubilee Gold trim and the interior was Frontier Green, Black and Arctic Beige. 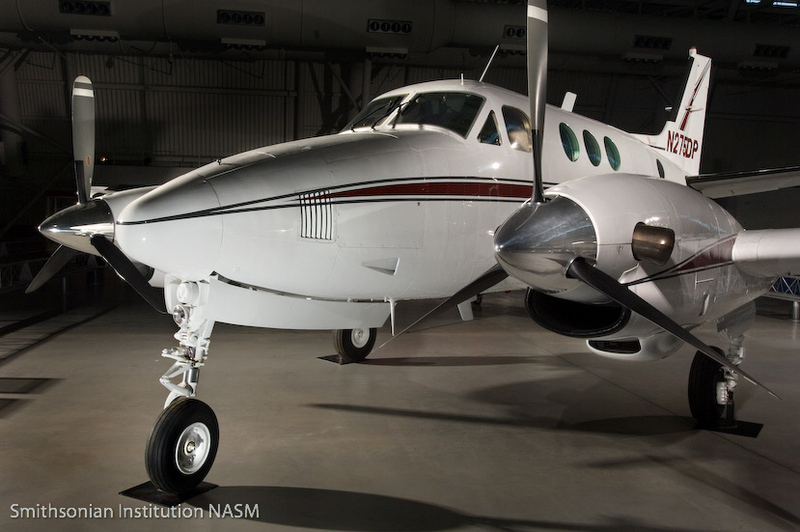 On April 23, 1965, the Aviation Department of Helmerich and Payne, Inc., of Tulsa, Oklahoma, purchased the aircraft and the company flew the aircraft almost every other day for many years, mostly around the Central Plains states. The aircraft's registration changed to N10LE on October 8, 1973 and it flew in California, until May 20, 1976, when the registration was changed to N275DP. I FLY SOUTH of Wilmington, Delaware, owned the aircraft by 1994 and it then returned to Raytheon's Beech Aircraft Corporation in March 1998. Stevens Aviation, of Vandalia, Ohio, performed general maintenance and painted it white with red and gray trim before Raytheon flew it to National Airport near Washington, DC, in April 1998. There, its flight career ended with 7,164.5 hours on the airframe. It was disassembled and trucked across the Potomac River to the Museum for installation in the Business Wings exhibit. 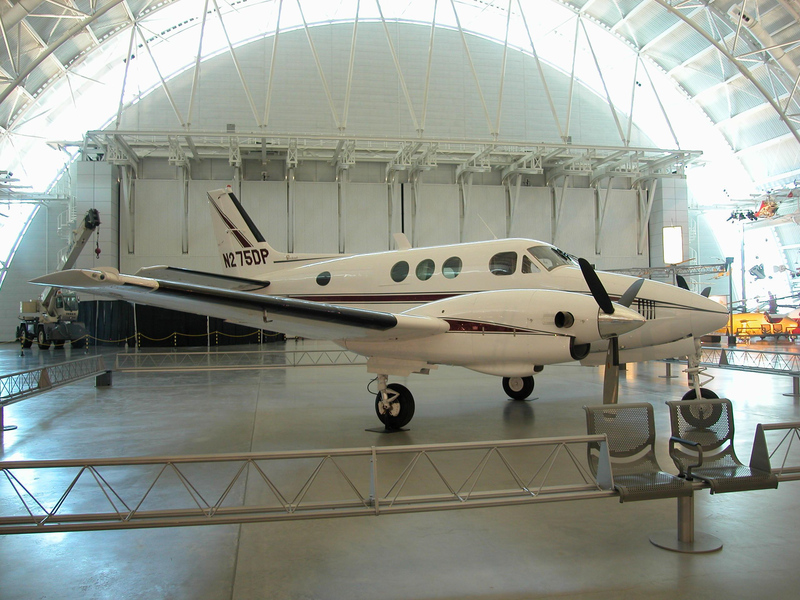 In July of 2000, when the exhibit closed, Raytheon donated the aircraft to the Museum. Seven/ten place, low-wing, twin-turboprop business aircraft; white with red and gray trim. Pratt and Whitney Canada PT6A-6 engines.